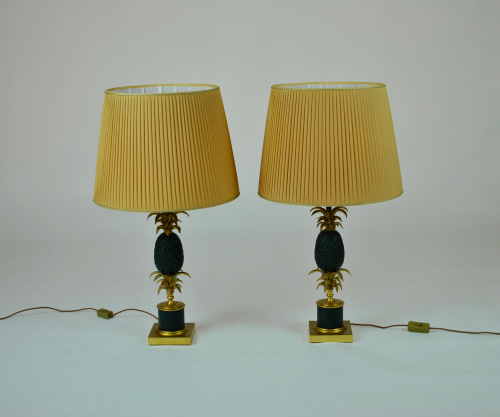 Pair of exceptional cast bronze table lamps. Gilt bronze base and decoration with very dark (almost black) green painted pineapple design. Original goldy yellow silk pleated shades which are in very good condition.